The latest update to Forza Motorsport 7 has arrived with a ton of fixes and Xbox One X enhancements in tow. We’re just days away from the November 7 launch of Xbox One X, and games are already being updated with support and enhancements for Microsoft’s powerhouse console. The latest to get the One X treatment is Forza Motorsport 7, which has added the necessary assets and other bits it needs to power its high-fidelity, high-framerate gameplay on the console. For Xbox One X players, today’s update contains the Xbox One X version of Forza 7, including all the beautiful enhancements that will allow players to enjoy the biggest racing game of the year in stunning native 4K, including high-resolution assets. 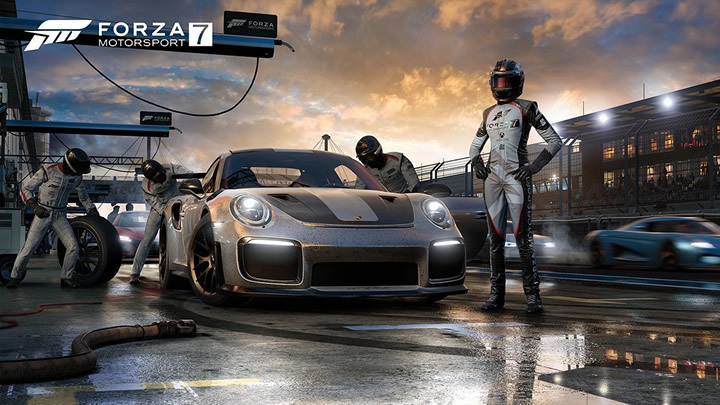 With brand new graphical improvements like improved lighting and shadows resolution, this update lets Forza Motorsport 7 unleash the power of Xbox One X.
Forza Motorsport 7 (Forza 7) is a car racing video game developed by Turn 10 Studios and published by Microsoft Studios for Xbox One X and Windows 10 PC on October 10 in 2017. Features 4K@60FPS lifelike graphics, more than 700 sports cars, 32 unique tracks, Forza 7 received 9.1 out of 10 from IGN.Forza 7 Credits are the basic currency in the game, which gamers need it to buy new cars and high-performance gears, modify and repair their cars. Players receive Credits rewards when complete or unlock achievements. If you want to level up faster than others, Buy Cheap Forza 7 Credits from Mmocs.com is the best choice.